I give Priyanka grief for a lot of things, but MAN she has gorgeous hair! But then there’s Jaya, bringing it classic oldschool. Zeenat Aman was one of the first actresses to have shorter styled hair. And then there’s Taapsee with that gorgeous curl that looks better short. I’m always surprised by how good Katrina’s hair is naturally. It’s just really thick and healthy and falls just right, even in casual candids. 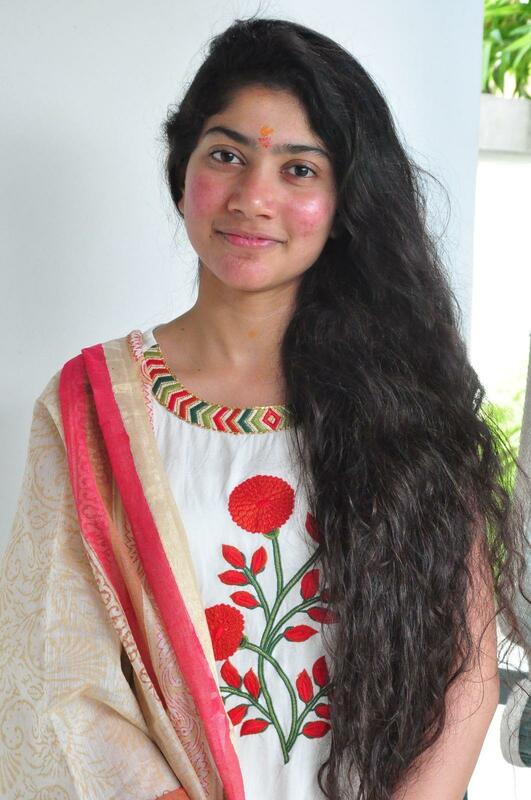 Also Sai Pallavi from Premam, come to think of it, natural and uncut look. Of course, it’s easy to have lovely natural hair when you are young, let’s look at Rekha for an example of how to manage it when you are a Woman of a Certain Age. 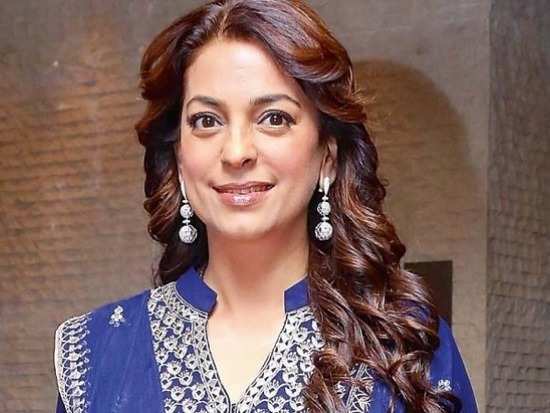 Or Juhi Chawla who has earned her spokesperson role for hair oil! One of the nicest smallest little parts of Made in Heaven was watching Sobhita’s hair go from natural and straight and perfect, to ever so slightly styled. Looks great both ways. And then my first hair crush, the amazing Bhagyashree. Really, nothing else like it! Okay, out of all of these hairs, which do you most want to capture and magically put onto your head? If I couldn’t have my very own hair, I think I might choose Anupama’s next. So fun and big and fluffy, instead of my boring straight silk (no wait, I didn’t mean that Hair! Don’t leave me! You’re all I have!). This entry was posted in Uncategorized and tagged Hair, Jaya Bachchan, Juhi Chawla, Katrina Kaif, Priyanka Chopra, rekha, TGIF by mredlich21. Bookmark the permalink. How do you manage hair that long?!!! How many hours does it take you to wash?!! How have you kept it in such great condition?! I don’t understand. Thank you! Doesn’t actually take that long to wash, I have a system. The brushing is killer though. Mostly it’s just genetics, I am very grateful. Or Pankaj Udhas’s retelling of O Henry’s “Gift of the Magi” featuring a desi girl and a videshi boy. I can mostly accept that cultures differ and I shouldn’t judge from my western eyes and all that, but 90s/2000s Indian pop music videos are SO WEIRD!!!! SO WEIRD!!!! Post about hair and you didn’t include Jacquline Fernandez? Her hair was the only reason I finished Race 3. You are right! Glaring error. Juhi or Taapsee. Have had stick straight hair my whole life and would LOVE waves or curls. Whoa you have such nice hair!! 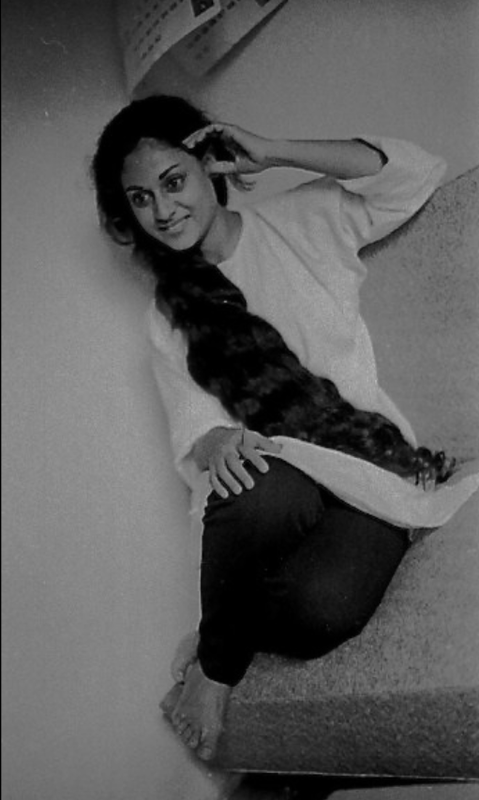 How can you have a gorgeous hair post and not mention Dimple Kapadia?! She was my original hair goals. I actually remember 5-6 year old me asking my mother to buy Crowning Glory soap after seeing her in the ad. I also used to do a front to back hair flip that she did in some ad or movie but I just cannot find it anymore. I was sure it was in this ad but I think my childhood memories have gotten mixed up. Twinkle has definitely inherited the good hair genes. Also, have you seen Saagar? I just went and watched all the songs and wow, she looks gorgeous in that movie. This was obviously completely lost on me when I first watched the movie as a child but this movie was perfectly crafted to evoke Bobby – not just in the casting but also in the setting. I am now tempted to rewatch it. I haven’t seen Saagar but you are really making me want to watch it! You should totally watch it! I think it has definitely earned a spot in Hindi film history and is a fairly decent movie with pretty good songs. Until watching the songs just now, I had also somehow completely missed how not coy this movie was about the physical part of the Dimple-Rishi relationship. Don’t have much hair envy because I’m vain about my hair too, but if I were to trade my red for anything it would be long, thick, straight black hair like Sobhita’s. Sobhita’s is pretty amazing. I love the flashback sections when you can tell she was poor because it wasn’t styled or layered or anything, but instead she just had it plain and straight an simple. Your hair Margaret is hands down better than any of these girls….